Although Florence was downgraded to a tropical depression Sept. 16, people in the Carolinas continue to grapple with the chaos the storm inflicts. The North Carolina Department of Public Safety reported more than 486,000 power outages as of Sept. 17. Flooding has rendered hundreds of roads impassable, including portions of interstates 95 and 40. Matthew Hendrix, senior director of fleet services at Fleet Advantage, said that bottlenecks on arterial roads can cause a one-hour drive to last three hours, stalling movement for passenger vehicles and freight haulers alike. Based in Fort Lauderdale, Fla., Fleet Advantage uses data analytics to manage fleet costs, such as fuel and maintenance. In response to the storm, which has claimed at least 32 lives, trucking companies and logistics groups are fielding requests for supplies and mapping out routes to deliver aid. One such company is Epes Transport, ranked No. 76 on the Transport Topics Top 100 list of North American for-hire carriers. Epes, based in Greensboro, N.C., specializes in dry van cargo. Phil Peck, vice president of operations,said that Epes does not maintain brick-and-mortar facilities east of Greensboro. He said that in the eastern portion of the state, drivers keep their equipment at home with them between runs. Many of the customers and facilities that Epes drivers service in this area have shut down, and many drivers have remained at home. Epes has a fleet of almost 1,400 drivers who are based as far west as Texas and as far northeast as New Jersey. North Carolina is the company’s largest domicile, Peck said, with nearly 400 drivers. Some Texas-based Epes drivers hauled emergency relief supplies when Hurricane Harvey struck in August 2017. Peck said the company is processing a couple of requests to haul relief products ranging from food and water to building materials and cleaning supplies to affected areas. “We’re still vetting all those and trying to determine where we can provide some assistance to be the most effective,” Peck said. Other companies have contributed to storm victims as well. Anheuser-Busch sent six trucks each carrying 50,000 cans of water from its Cartersville, Ga., plant to communities in North Carolina, South Carolina and Virginia. The UPS Foundation donated more than $1 million in the form of grants, transportation movements and technical expertise to recovery efforts. FedEx is assisting in the delivery of relief and medical supplies. Kathy Fulton, executive director of the American Logistics Aid Network, said the group received many requests for supplies before Florence reached the coast. 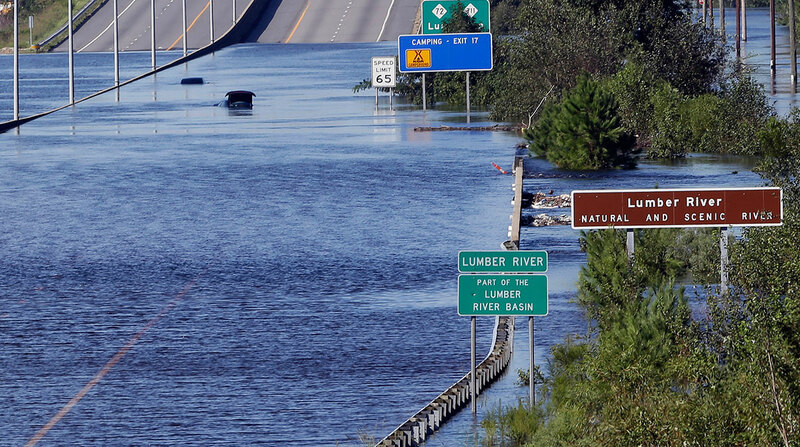 ALAN links logistics experts to nonprofit groups that specialize in disaster relief. Fulton acknowledged that requests for assistance will continue even after the rain has subsided. The requests, which ALAN posts on its website, call for forklifts, electric pallet jacks and warehouse space to hold food donations and animals that have been displaced by the storm. The group has not received specific requests for transporting goods, but Fulton is confident they will come. She pointed out that emergency responders can sometimes predict the need for warehouse space but cannot divine where donations will originate.